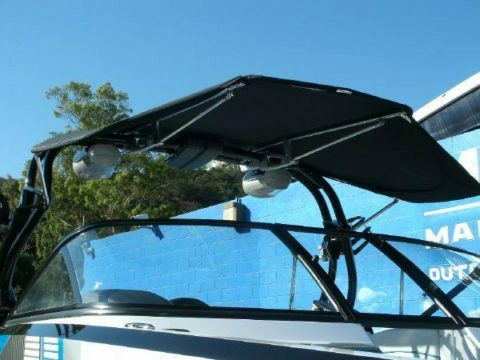 Our bimini tops are model specific to fit the deck, tower, or arch mounted styles made of aluminum or stainless steel and various hardware depending on requirements. We have patented two new styles; a “slide to stow” for forward leaning towers/arches and “bi-fold to stow” for rear leaning towers/arches. Being a fully capable CAD design house means we can design & create any part required to achieve unique designs. 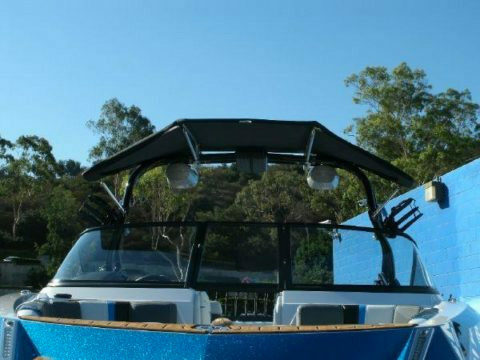 For Malibu Boats LLC we designed the same look and coverage as their previous Bimini but improved the functionality to make it easier to open, close & stow. 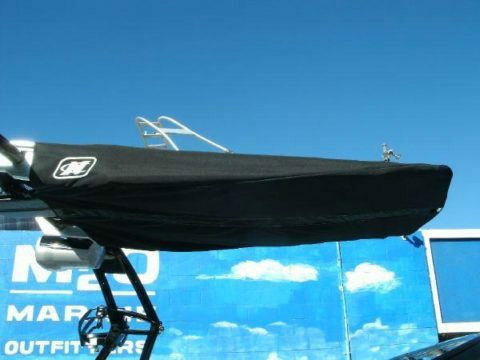 The folding/sliding design simplifies all functionality and is very strong and innovative. Patent Pending. 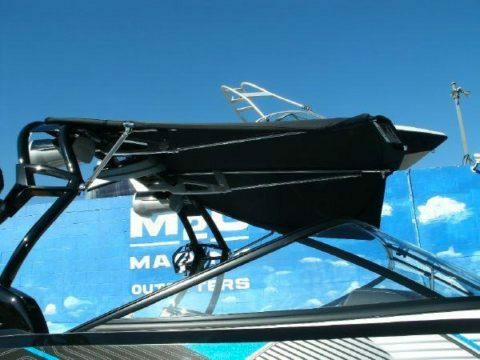 For Nautique Boat Company Inc. our challenge was to create a bimini top to obtain the “broadest coverage possible”. 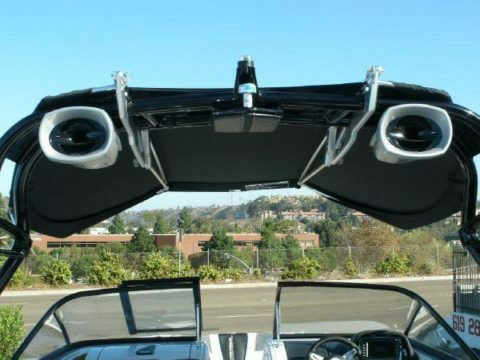 The design also had to accommodate the unique projection of the top and adjust how it would be stowed when not in use. The result was a very stylish and strong “Bi-Fold” design allowing the left & right side of the top to fold into the center. Patent pending.